Light and airy, with a soft crust and filled with caraway and dill seeds, this egg free bread is just what you need to make delicious deli sandwiches. In large mixer bowl, combine 1¾ cups bread flour, yeast, sugar, salt, caraway and dill seed; mix well. In saucepan, heat milk, water and shortening until warm (120°-130°F; shortening does not need to melt). Add to flour mixture. Blend at low speed until moistened; beat 3 minutes at medium speed. By hand, gradually stir in rye flour and enough remaining bread flour to make a firm dough. Knead on floured surface about 5 minutes. Place dough in lightly oiled bowl and turn to grease top. Cover; let rise until dough tests ripe, about 1 hour. Punch down dough. Divide into 2 parts. On lightly floured surface, roll or pat each half to a 14 x 7- inch rectangle. Starting with shorter side, roll up tightly, pressing dough into roll with each turn. Pinch edges and ends to seal. Place in greased 8 x 4- inch bread pans. Cover; let rise in warm place until indentation remains after lightly touching, about 30 minutes. Bake in preheated 375°F oven for 30 to 40 minutes or until golden brown. Cool in pans for 10 minutes. Remove breads from pans and finish cooling on wire rack. Recipe featured at A TrEATs Affair. Not hard to make! 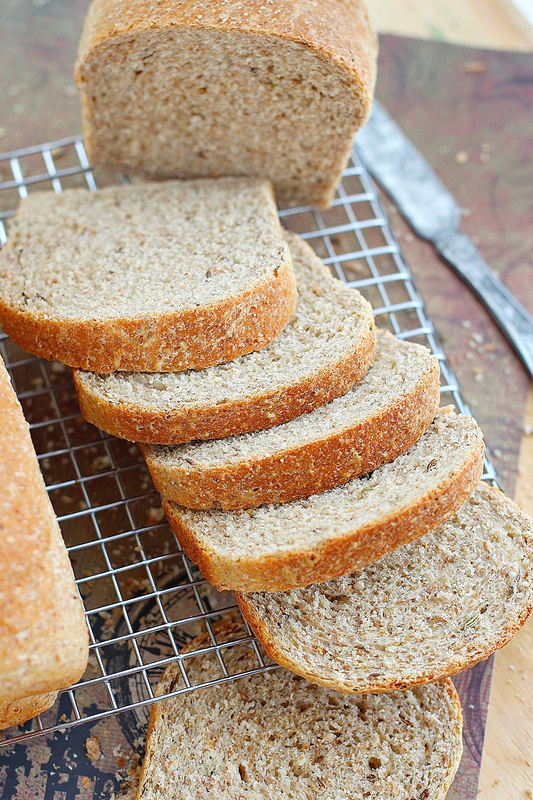 I buy dill-rye bread at the store, so I thought I would try making it instead…glad I did! I love this bread!